Hidden high on the roof of the world, Tibet is a land of golden monasteries, spectacular mountain scenery and a deep spiritual heritage that lives as much in our imagination as it does in the remote Himalayas. Of course, it’s hard to ignore the complex political situation, with Tibet seen both as occupied territory and an integral part of China for the best part of a century depending on who you talk to. This contentious situation can affect your freedom of movement in the country, and so it’s wise to plan your itinerary and do your research well in advance. Once you’ve crossed these barriers, however, an enthralling, unique realm awaits. 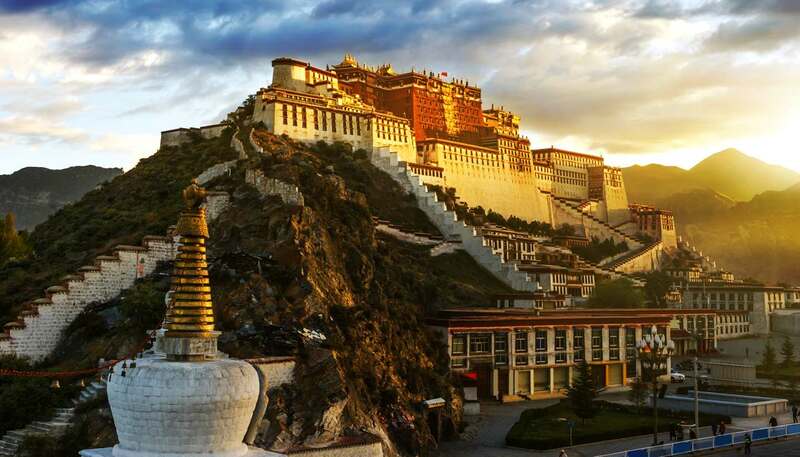 Many travellers will be drawn to Tibet by the spectacular Buddhist temples, ageless monasteries perched on cliff edges and robed monks chanting peacefully. With the amount of reverence and faith among Tibetans, Tibet truly feels like one of the most spiritual places on Earth. 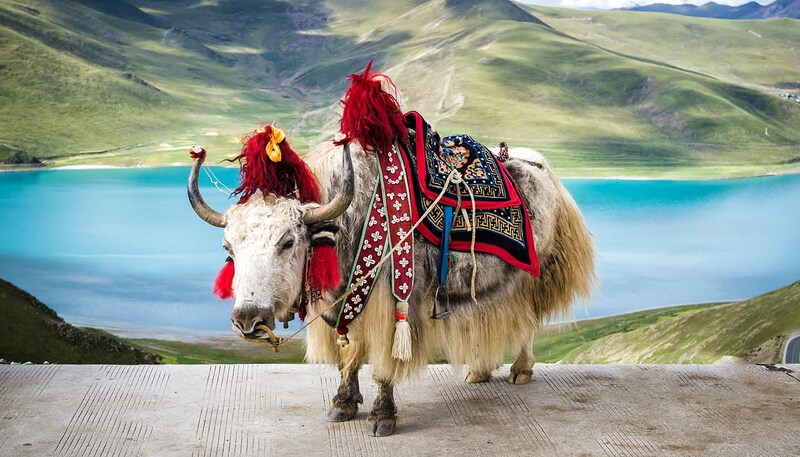 Beyond the zen vibes, Tibet’s nature is also life-affirming. Stunning high-altitude scenery and huge blue salt lakes borne on high towards the heavens are the highlights, while epic journeys beckon. Try the world's highest railway trip, for example, or take the classic overland drive across the Himalayas to Kathmandu in Nepal. A recurring highlight wherever you go is the Tibetan people, always quick with a smile, from visiting bands of pilgrims to nomads in their yak-hair tents. Be sure to try beer in a Lhasa teahouse, or to accept a monk’s offer of yak-butter tea. The Tibetans’ openness and warmth in the face of political oppression is remarkable. Once the very definition of remote, arduous and forbidden travel, Tibet is now surprisingly well connected by road, plane and even rail links. Massive change is reshaping the politically troubled plateau but complicated travel restrictions make independent travel tricky, so do plan ahead. 1,228,400 sq km (474,288 sq miles). People's Republic of China comprises 23 provinces (China considers Taiwan its 23rd province), five autonomous regions, two special administrative regions and four municipalities directly under central government. The 125th Canton Fair takes place from 15 April to 5 May in Guangzhou. If you’re travelling to China for the Canton Fair, check our dedicated information and advice page. The typhoon season in China normally runs from May to November. You should monitor the progress of approaching storms and follow the advice of the local authorities. Over 595,000 British nationals visited mainland China in 2017. Most visits are trouble free but you should always take out comprehensive travel and medical insurance before you travel. As of 1 November 2018, China has introduced the requirement for all visa applicants aged between 14 and 70 inclusive to submit their visa application in person at a Visa Application Centre. As part of the visa application process, biometric data (scanned fingerprints) will also be required. Foreign nationals over the age of 16 must carry their passport at all times. You must register your place of residence with the local Public Security Bureau within 24 hours of arrival. China has a zero tolerance policy on drugs. There are severe penalties for drugs-related offences including the death penalty. Police often raid bars and nightclubs checking for the use of illicit substances. Raids on private homes have also occurred. Terrorists are likely to try to carry out attacks in China. Although foreigners haven’t been specifically targeted, attacks may occur in places visited by foreigners. You should take particular care during national holidays or when transiting public transport hubs, and always follow the advice of the local authorities. Previous attacks have targeted public places including on one occasion at a railway station and an open air market in 2014. There have been no recent attacks in the main tourist areas. The risk is higher in the Xinjiang Uyghur Autonomous region. You should take particular care and remain vigilant when travelling to or within Xinjiang. Don’t attempt to travel to Tibet without getting the correct permits. The Tibetan Autonomous Region (TAR) can be closed to foreigners without notice. Police have the power to detain or prevent you from leaving China if you’re involved in or connected to a business and/or civil dispute. China doesn’t recognise dual nationality. If you have both British and Chinese nationality you may be treated as a Chinese citizen by local authorities, even if you enter China on your British passport. If this is the case, the British Embassy may not be able to offer you consular assistance. The FCO has published guidance on nationality in China. If you’ve formally renounced Chinese citizenship, you should carry evidence that you have done so. High levels of air pollution can occur in major urban and industrialised areas in China, and may aggravate bronchial, sinus or asthma conditions. Children, the elderly and those with pre-existing medical conditions may be especially affected. You can check the pollution index levels for many cities in real time. Territorial disputes between China and neighbouring countries have caused high regional tension. There have been anti-Japanese and anti-Korean demonstrations in several cities across China. China is subject to a variety of weather conditions, from heavy rainfall and high temperatures in central and southern regions to tropical cyclones (typhoons) affecting eastern and southern coastal region. Earthquakes occur, particularly in western and south-western regions. Personal attacks, including sexual assaults, are rare but they do occur, including through drinks being spiked. You should take reasonable precautions - don’t leave drinks unattended and avoid accepting drinks from strangers. Women, travelling alone or with female friends, could be at greater risk - see our advice for women travelling abroad. Serious crime against foreigners is relatively rare, but incidents do occur and less serious crime is not unusual. You should take care of your belongings at major tourist sites and other busy places, particularly where foreigners gather. If your passport is lost or stolen, you will need to go to the nearest police station or Public Security Bureau and get a report of the incident. Avoid travelling in unmarked or unmetered taxis, as there have been incidents of sexual assault and robbery against foreigners. In marked taxis, make sure someone knows where you are and try to take a note of the taxi’s number. Disputes over taxi fares can occur. Insist on paying the metered fare and ask for a receipt; this has the taxi number on it. Don’t hike alone in isolated areas, including on the Great Wall. If you do, always leave your itinerary, mobile number and expected time of return at your hotel or with a third party. There is a risk of attack from armed criminals in remote areas. The areas bordering on Siberia, Pakistan, Kazakhstan, Vietnam, Laos and Burma are poorly policed. In Yunnan Province, drug smuggling and other crimes are increasing. Beware of scams in popular tourist areas. A common example is the ‘tea tasting’ scam or ‘massage’ scam. You may be invited to visit a bar, to participate in tea tasting or for a massage, but then face demands for an exorbitant fee. This can be followed by threats or actual violence, and credit card fraud. Check QR code stickers on rental bicycles carefully before using them. There have been cases of the legitimate barcode being replaced with a false code, which redirects money to a different account. Fire protection standards in Chinese accommodation are not always the same as in the UK. Check fire precautions including access to fire exits. Make sure your accommodation has a working fire alarm and regularly check that the fire exits aren’t blocked. Make sure your accommodation has a working carbon monoxide alarm. There have been incidences of carbon monoxide poisoning and death due to incorrectly installed gas equipment. The ‘Be Alarmed’ campaign gives practical advice on how to stay safe, and lists the symptoms to look out for. Before entering into a contract in China you should take legal advice, both in the United Kingdom and in China. Contracts entered into in the United Kingdom are not always enforced by Chinese courts. If you’re involved in or connected to a business and/or civil dispute, the Chinese authorities may prohibit you from leaving China until the matter is resolved. This is known as a travel ban. For more detailed advice on business risks and commercial disputes, see our guide on commercial disputes in China. Incidents of British nationals being detained against their will to extort money or intimidate them have occurred. It is rare for violence to be used, but the threat of violence is a recurring theme. You should report any threats of violence to the Chinese police. You can only travel to the TAR on an organised tour and you must get a permit first, through a specialised travel agent in China. Chinese authorities sometimes stop issuing these without notice, and also restrict travel to Tibetan Autonomous Prefectures in neighbouring Provinces, even if you have a permit. You should check with tour operators or travel agents and monitor this travel advice and other media for information. Once in Tibet you should avoid demonstrations and other large public gatherings. Ongoing political and ethnic tensions can lead to unrest and protest, sometimes violent. Security measures will be tight and unauthorised gatherings may be dispersed by force. Don’t film or photograph any such activities or outbreaks of violence. Local authorities will react negatively if you’re found carrying letters or packages from Tibetan nationals to be posted in other countries. Photography in Buddhist monasteries requires permission and carries a fee. You should be aware that the ability of the British Embassy Beijing and British Consulates in China to provide consular support in the Tibet Autonomous Region is limited. The security situation in Xinjiang remains fragile, and conditions locally can deteriorate rapidly at short notice. There have been instances of violent unrest in Xinjiang, causing deaths. There have been allegations of the use of lethal force to disperse protests. The risk of terrorism is higher in Xinjiang Uyghur Autonomous Region than in other regions of China. Be alert to the possibility of being caught up in any unexpected demonstrations or outbreaks of violence. The Chinese authorities will increase the security presence in the area and tend to react quickly and harshly to these incidents. The Chinese authorities may restrict travel to some areas of Xinjiang, particularly during religious festivals and after violent attacks. There have been widespread reports of arbitrary arrests and extra-judicial detention in Xinjiang, mainly affecting the local population, particularly Uyghurs and other ethnic minorities. You may be at increased risk if you’re of Uyghur descent and/or have lived previously in Xinjiang; or if you appear to be Muslim. You should expect airport-style security measures, including passport and security checks, at entrances to public places such as shopping centres, markets and parks. You may be required to inform the security forces of your phone number, have your photograph taken, or be questioned as to the nature of your travel. Carry your passport at all times, avoid all protests and large crowds, be vigilant and monitor media reports. Do not photograph or film protests, large crowds, security officials or installations, or anything of a military nature. You should be aware that the ability of the British Embassy Beijing and British Consulates in China to provide consular support in Xinjiang Uyghur Autonomous Region is limited. You need a Chinese driving licence to drive in China. You must also have valid insurance. Accidents are common in China due to the poor quality of roads, high volumes of traffic and generally low driving standards, so you should drive with caution. If you’re involved in a serious traffic accident, call the police. Don’t move your vehicle until they arrive but make sure you and your passengers are in a safe place. In cases where there are injuries, you may be held liable for medical costs. You will also be held liable if you run over a pedestrian. There are harsh penalties for driving under the influence of alcohol, even at very low levels. Mariners should avoid the disputed territory between China and other countries in the East China Sea. There have also been incidents of piracy and armed robbery against ships in the area. See the Regional Co-operation Agreement on Combating Piracy and Armed Robbery against Ships in Asia Information Sharing website for further information. You will need to produce your passport to buy a ticket and again to board the train. Trans-Mongolian express trains (Beijing-Moscow via Ulaanbaatar) are noted for smuggling. Search your compartment and secure the cabin door before departure. Petty theft from overnight trains is common. China is a one-party state. Though China is very open to foreign visitors, you should be aware of political and cultural sensitivities in conversation with Chinese people. Territorial disputes between China and neighbouring countries have caused high regional tension. There have been a number of anti-Japanese and anti-Korean demonstrations in several cities across China. These protests have generally taken place outside diplomatic missions, but some have targeted other Japanese and Korean interests. Avoid any demonstrations or large gatherings. The Chinese authorities enforce public order strictly and you may face arrest, detention and/or deportation. Foreign journalists have been intimidated, assaulted or detained for trying to report demonstrations. You may also risk becoming a target yourself when general anti-foreign sentiment runs high. Keep yourself informed of developments and follow the advice of the local authorities. During periods of tension, some news reporting, access to text-messaging, the internet and to international telephone lines may be blocked. Terrorists are likely to try to carry out attacks in China. Although foreigners haven’t been specifically targeted, attacks may occur in places visited by foreigners. Since early 2014, a number of explosions and knife attacks have occurred in public places, including in busy railway stations, resulting in injuries and fatalities. You should take particular care during national holidays or when transiting public transport hubs, and always follow the advice of the local authorities. There have been no recent attacks in the main tourist areas. The risk is higher in the Xinjiang Uyghur Autonomous region. According to the Chinese government, most attacks are carried out by Uyghur separatists with possible links to the East Turkestan Islamic Movement (ETIM). 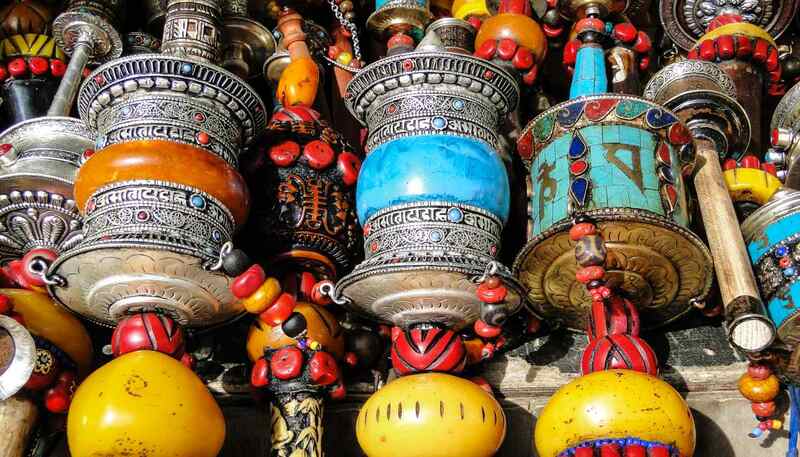 You should take particular care and remain vigilant when travelling to or within Xinjiang. Carry your passport with you at all times. Police carry out random checks, especially during periods of heightened security and major sporting or political events. Failure to produce your ID can lead to a fine or detention. If you renew your passport while you’re in China, you must register your new passport with the authorities promptly or face a fine. Certain behaviours may be deemed sensitive and attract greater scrutiny from the authorities, including photography near sensitive sites, engaging with political groups or charities, and making statements deemed to be politically sensitive. Chinese laws and procedures relating to the arrest and detention of suspects of crime are different from in the UK. If you’re suspected of a crime, the Chinese authorities have the power to prevent you from leaving China (by withholding your passport or applying a travel ban) or to detain you for up to 37 days without charge. Travel bans may also be imposed on individuals involved in commercial or private disputes. If you’re detained on grounds of national security, which is interpreted more broadly than in the UK, you may be detained for up to 6 months before formal arrest and may be denied legal representation before charges are brought. There are extremely severe penalties for drugs offences in China, including the death penalty. The Chinese authorities undertake random drug testing on foreign nationals including on entry to the country. If you test positive, the Chinese authorities can prosecute you regardless of where or when you consumed drugs. There have been incidences of police raids on clubs, bars and homes, and these can include on the spot urine sampling. If the police find drugs in your home penalties can be extremely severe. China doesn’t recognise dual nationality. If you enter China on a Chinese passport or identity card, the British Embassy may not be able to offer you help. If you were born in China to a Chinese national parent you will be considered by the Chinese authorities to have Chinese nationality, and may be treated as a Chinese citizen, even if you used a British passport to enter China. If you have formally renounced Chinese citizenship, you should carry clear evidence that you have done so. The Chinese authorities maintain controls on internet access. Some services, including Google, Facebook, YouTube and Twitter are permanently blocked. Other websites may be blocked from time to time. China’s cyber security laws are changing and online products and services (eg VPNs) are required to be licensed by the Chinese government. More information is available on the Ministry of Industry and Information Technology website (in Mandarin only). Make sure you stay informed and follow Chinese law. Gambling is illegal in mainland China. There are restrictions on certain religious activities, including preaching and distributing religious materials. The Falun Gong movement is banned in China. Although homosexuality is not prohibited by law, public attitudes are less tolerant than in the UK and public displays of affection may attract negative attention. There’s no provision under Chinese legislation guaranteeing freedom from discrimination on the grounds of sexual orientation. You can find information on LGBT life in China on the British Embassy website. See our information and advice page for the LGBT community before you travel. British nationals normally need a visa to enter mainland China, including Hainan Island, but not Hong Kong or Macao. With effect from 1 November 2018, all visa applicants aged between 14 and 70 inclusive will need to make their visa application in person at a Visa Application Centre. As part of the application process, biometric data (scanned fingerprints) will now have to be provided. Biometric data may be checked/collected by the Immigration Authorities when entering China to register your entry to the country. If you’re transiting China, visa waivers are available in certain places. Visitors transiting through Shanghai can apply online for a 144 hour visa exemption via the Shanghai General Station of Immigration Inspection. In other visa waiver transit locations, applications must be made in person on arrival. Contact the Chinese Embassy or the China Visa Application Service Centre before your proposed trip for further information. You can also consult your airline/tour operator about visa requirements. If you visit Hong Kong from the mainland of China and wish to return to the mainland, you’ll need a visa that allows you to make a second entry into China. It is your responsibility to check your visa details carefully. Don’t overstay your visa or work illegally. The authorities conduct regular checks and you may be fined, detained or deported (or all three). If you remain in China longer than 6 months, you may need to get a Residence Permit. Your passport must be valid for at least 6 months when you enter China. UK Emergency Travel Documents (ETDs) are accepted for entry, airside transit and exit from China. You may be required to show a police report indicating how you lost your full passport. If your ETD has been issued in China, you will need an exit visa from the Public Security Bureau before you can leave. This process can take up to 7 working days. You must register your place of residence with the local Public Security Bureau within 24 hours of arrival. Chinese authorities enforce this requirement with regular spot-checks of foreigners’ documentation. If you’re staying in a hotel, they will do this for you as part of the check-in process. You can only work in China if you have a Z visa - tourist and business visit visas don’t allow you to do so. You must also hold a valid work permit. The local police regularly carry out checks on companies/schools. Violation of Chinese immigration laws can result in severe penalties, including imprisonment, fines, deportation, a travel ban preventing you from leaving China, and an exclusion order, which prevents you from returning. Before you leave the UK you should contact the Chinese Embassy to check visa requirements. When submitting your visa application, and when you receive your work permit, check that the details are correct, including the location you’ll be working in. If they’re not, you can be detained. If you intend to change employer once you’re in China, you should check with the Chinese authorities whether a new visa and work permit is required before doing so. Teaching in China can be a rewarding experience, but before you travel it’s important that you research thoroughly the school or university that is hiring you and are confident that they are following the law. There have been many incidents of teachers being detained and/or deported for working on the wrong visas. It is your responsibility to check you’re working on the correct visa. If you’re on prescription medication, make sure you bring enough with you or have access to a supply in China. Certain medicines may not be available and you may be prohibited from bringing others into the country. For more information and advice, check with your GP and the Embassy of China before travelling. If you’re travelling for Chinese New Year, check the information and advice from the National Travel Health Network and Centre (NaTHNaC). Healthcare is not free in China and can be very expensive. Make sure you have comprehensive travel and medical insurance covering healthcare and medical evacuation/repatriation for the duration of your stay. For more information, see Medical treatment in China. If you need emergency medical assistance during your trip, dial 120 and ask for an ambulance. You should contact your insurance/medical assistance company promptly if you need treatment. The high levels of air pollution in major urban and industrialised areas in China may aggravate bronchial, sinus or asthma conditions. Children, the elderly and those with pre-existing medical conditions may be especially affected. You can check the pollution index levels for many cities on the aqicn.info website. Tap water in China is generally not safe to drink. You should drink only bottled water. The extreme altitude (over 3,000m) of some areas, including Tibet, parts of Xinjiang-Uighur Autonomous Region and Qinghai Province, may cause altitude sickness. The Chinese authorities react quickly to any outbreaks of any infectious disease, including enforcing quarantine for those showing symptoms. On 23 May the US Consulate in Guangzhou issued a health alert following a recent report of abnormal symptoms by a US government employee based in Guangzhou. We are seeking further information but at this stage are not aware of any specific risks to British nationals. If you have any concerns about symptoms or medical problems, you should always seek medical advice. Human infections of avian influenza are being reported in China, particularly among those individuals who have been in close contact with infected birds. Before travelling, you should read more information and follow the prevention advice on Public Health England and NaTHNaC’s websites. Dengue fever is present in some parts of China mainly during the rainy season. There has been a large increase in cases of dengue fever in Guangdong province. You should take appropriate precautions to avoid being bitten by mosquitoes. China is subject to various natural disasters, including earthquakes, flooding and typhoons. China is located in an active seismic zone and can experience major earthquakes. To learn more about what to do before, during and after an earthquake, see the US Federal Emergency Management Agency website. The latest tsunami warnings can be found on the Pacific Tsunami Warning Centre website. Flooding and storms are common during the wet season (May to November). You should monitor local weather reports and follow the advice and instructions of local authorities, including any evacuation orders. The typhoon season in China normally runs from May to November, affecting southern and eastern coastal regions in particular. Air travel and other forms of transport can be affected. You should monitor the progress of approaching storms on the Japan Meteorological Agency and the China Meteorological Administration websites. See the FCO’s Tropical Cyclones page for further advice about what to do if you are caught up in a typhoon. Outside major cities, credit cards are not always accepted and the availability of ATMs is limited. It is not possible to exchange Scottish or Northern Irish bank notes. Counterfeit bank notes (especially RMB100) are increasingly common, including when taking money out of an ATM. Banks will not replace them. It is quite normal to check notes carefully before accepting them from others. Cashless payments via smartphone applications such as WeChat Pay are increasingly commonplace.